Chances are, no matter what direction you drive in Traverse City, you are seeing detour signs and orange cones. The D.O.G. Bakery at 535 West Front Street sits in the middle of one of those construction projects. Started at the end of April, the project is scheduled to be completed by the middle of July, a little earlier than anticipated because the construction will be going on through the Cherry Festival – a decision that has the support of the West End business owners. Because of the construction, the D.O.G. Bakery’s sales are down about 10%, which is less than they expected so they are grateful for that. To help customers have a stress-free visit to their store, they are suggesting that you use this construction map to get to the store easier. The suggested routes go through the residential area and brings you to the store through the alley, where you can park behind the store. The D.O.G. Bakery has been in Traverse City for more than 11 years and is a visible supporter of community events and organizations including the animal rescue groups in town. They bake healthy dog treats, sell commercial dog and cat food, dog toys, dog fashions and accessories, leashes and much more. Customers can also bring their dogs to the store to pick out their own merchandise – and often end up featured on their Facebook page. The D.O.G. Bakery also has a kiosk in the Grand Traverse Mall located in front of the GAP store to help customer have more access to their treats during the construction. This temporary “store” will close on Tuesday, June 30th. Don’t let a little construction stop you from treating your pooch to some yummy treats. You know you’ll be in the dog house with your furry family members if you don’t stop by! Proceeds from this year’s Traverse City Patriot Game will go to an organization that trains service dogs for combat veterans struggling with post-traumatic stress disorder. According to Mike Kent, students from Traverse City Central and West High Schools selected Dogs in Honor to get the money made through the sale of commemorative shirts. The TC Patriot Game is the annual football clash between the two rival schools. Active duty military and veterans are honored at a ceremony before the game. This year the contest will take place on the 15th anniversary of the terrorist attacks on September 11. First responders will also be asked to take the field and be honored. Click here for the rest of the story. 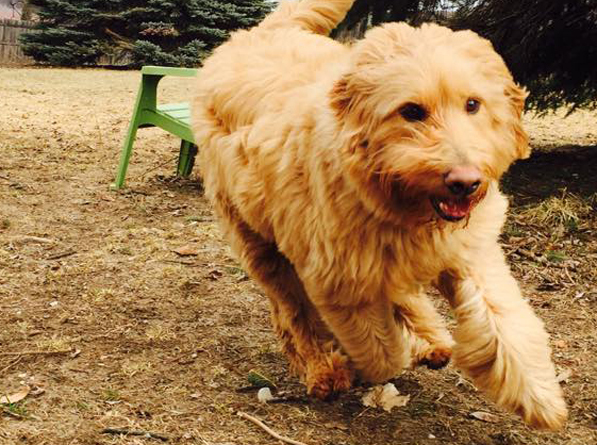 State Representatives Christine Greig (D-Farmington Hills) and Sarah Roberts (D-St. Clair Shores) have introduced two pieces of legislation that would crack down on inhumane puppy mills and protect dogs against animal abuse. “Pets have become such an important part of many families, and the joy of bringing home a new puppy is a moment to be treasured,” Greig said. “I want to make sure, however, that they are bred in a safe and humane environment. A small handful of unscrupulous breeders are trying to maximize their profits by breeding large numbers of puppies in unhealthy conditions. This legislation will ensure that dogs aren’t abused in large-scale puppy mills and will hold abusers accountable if they harm dogs. Click here for the rest of the story. In the summer of 2010, Army Veteran Phil Weitlauf went to look for an abandoned war dog monument he had heard about at the corner of Milford Rd. and 11 Mile in Lyon Township, about 11 miles southeast of Brighton. He took his dog Cody, a German Shepherd with him. When they arrived at the corner, Weitlauf only saw a heavily wooded area. After parking the car and going for a walk, he saw a large granite monument with the words “The War Dog.” Behind that were several headstones buried in foliage and brush. The site was in horrible shape. At the next monthly meeting with the Huron Valley AmVets-Post 2006 in Milford, Weitlauf reported the abandoned site and requested a detail to clean it up. Several members volunteered and several other Veteran Service Organizations, Dog Club members were contacted. A notice was also printed in the local newspaper. 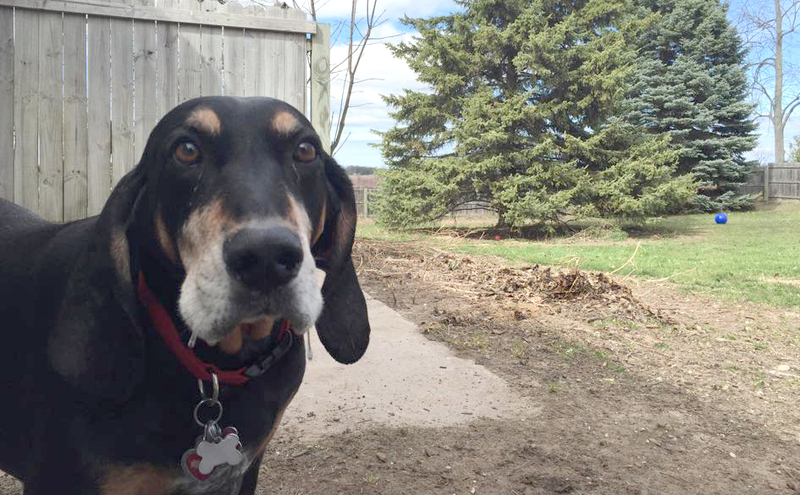 SunDog Boarding Kennel in Traverse City is participating in an online grant contest to grow their business and help more dogs and their owners. The Mission Main Street Grants are awarded by Chase with LinkedIn as a Premier Sponsor. In September, they will be awarding 20 businesses with $100,000 in grants each. Right now is the first round of voting. Competing businesses need to gather 250 votes to move into the next round. Currently, SunDog has 261 votes and voting ends on June 19th. More votes would show enthusiastic community support for their grant application. You can vote for them at the link here. The SunDog kennel is a safe, fun and relaxed environment to board your dogs when you are away. There is 1500 sq. foot addition to the home of owner, Allison Merrill, designed for the dogs who stay with them. The dogs are not “kenneled” during the course of the day and are allowed to socialize with other dogs if they desire. The space is fully air conditioned and has in-floor heat for the winter months. Each dog has its own private laminate and tempered glass suite where they have their comfy beds, personal items and food-related items. There is plenty of room to play inside with couches, rugs and toys and also room in the office to lounge or spend time with staff. There is a 900 sq. ft. yard on the south side of the building where dogs can enjoy the sun and tape a nap. The side play yard is 20,000 sq. ft. and is surrounded by a 6′ high wood privacy fence. Within the play yard is a lot of grass, shade trees, large pine trees and space to play with a tennis ball or Frisbee. TRAVERSE CITY — Dennis Kuznicki had to fight his initial instinct to duck when a frigid drop of water plunked the back of his neck. “When you’re leading a horse with a handicapped person on it, you can’t jump, you can’t do anything that would startle the horse,” Kuznicki said. Vietnam War veteran Kuznicki helps lead horses around Reining Liberty Ranch, a nonprofit that helps veterans and disabled individuals form relationships and ride on horses. Interactions with the nonprofit’s seven therapeutic horses can help clients with anything from balance to mental health. The tranquil farm opened on Silver Pines Road in Grand Traverse County about two and a half years ago, but roof problems plagued the operation. The multi-colored shingled roof leaked, dripped on people, lights and horses, and grew mold. Executive director Becki Bigelow said the problems created an unsafe environment. Click here for the rest of the story. Helena Guernsey, Erin Monigold, June McGrath, Brian Manley, Louise Kozan and Gail Maison were on hand to accept the award. On Thursday, May 21st, a party was held to announce the winners of the best that Northern Michigan has to offer in many different categories. 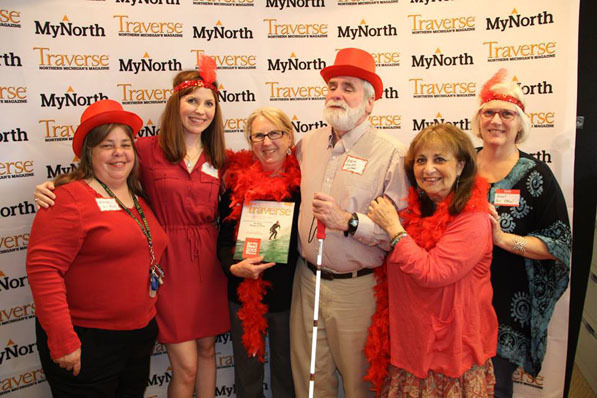 Traverse Magazine & MyNorth Media celebrated the winners at the annual Red Hot Best Party at the MyNorth offices in Traverse City. 101 categories were voted on by more than 15,000 people and the complete list of winners is in the June issue of Traverse Magazine. AC PAW beat out some great competition including the Father Fred Frost Bite Food Drive and the NMC BBQ. The 2nd annual Golf Star Rider Challenge is right around the corner and now is the time to set up teams. The benefit golf outing helps to raise money for animal rescue group, AC PAW and PEACE Ranch which uses horses to help at risk youth and veterans with PTSD. The golf outing is set for Friday, July 17th at Grand Traverse Resort and Spa with registration at 9:30 a.m. Click here for the rest of the story.